Facebook – to the fury of its millions of users – recently introduced a new user interface. Outcry was so loud, it actually made mainstream news. This got me thinking. What is it about Facebook that keeps us coming back? We could use Google+ or Twitter or other networks, but we keep coming back to Facebook. Why? 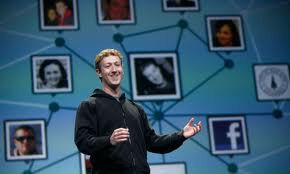 If you were Mark Zuckerberg, how would you design Facebook? i’m a horrible person to answer this question because i don’t use FB. once i was introduced to twitter, there was no turning back. Honestly? I use FB to keep in touch with extended family and to play Wordscraper with few friends. Otherwise, I’m a Twitter gal. I signed on to FB to keep in touch with my overseas family, but I never remembered to post anything. Then I kept getting invitations to be people’s friends. I’m too soft to turn people down so eventually I left it. I know, I’m a wuss.